Joskos has worked with many Free Schools and UTCs since the start of the programme in 2011. Joskos’ pedigree and future with Free Schools. Free Schools tend to open with just one year group and grow over time. They also face some very specific challenges due to the fact that most of them begin their life within buildings that were not originally designed to be schools. We have experience in designing ICT infrastructure for free schools that can grow with the school, ensuring that it provides both excellent value for money and future-proof technologies. As many Free Schools will also need to move into different premises during their lifetimes, we have designed a series of interface protocols and guidance documents that ensure that all parties involved in the building works are fully aware of the best way to integrate the ICT services into the fabric of the school. 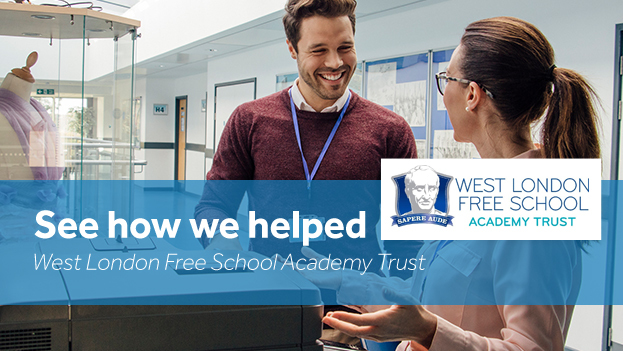 West London Free School Academy Trust were looking for a partner to deliver ICT within their newest school, Kensington Primary Academy. In addition, they were looking for a partner to provide on the ground support for the ICT across the trust’s existing primary and secondary schools and who could support each school’s IT development plans.